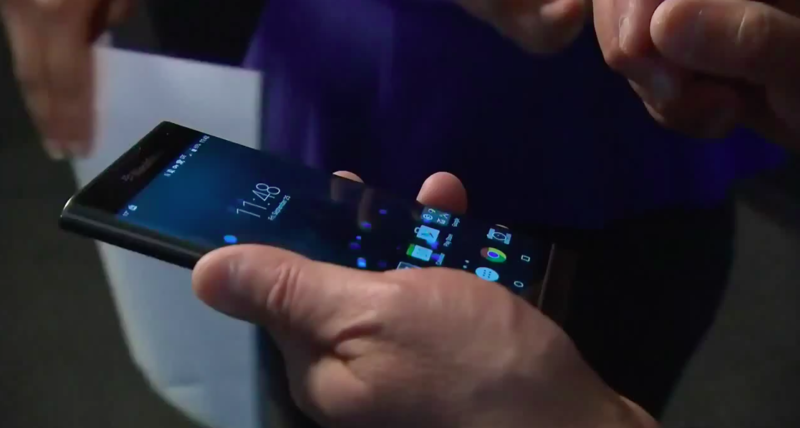 During the company’s recently-released quarterly report, BlackBerry CEO John Chen stated that the Priv, the company’s upcoming Android device, will be available later this year, but didn’t reveal a specific release date. And if recent advertisements for the device are an accurate indicator, the Priv will soon move from pre-registration to actual order status. The text in the advertisement (pictured below) shows that interested customers will be able to order the Priv starting this Friday. The confirmed specs of BlackBerry’s upcoming Android smartphone include a 5.4-inch display, 3,410 mAh battery, 18-megapixel camera, 5-megapixel front-facing camera, Android 5.1.1 Lollipop, and a Snapdragon 808 processor with 3GB of RAM. 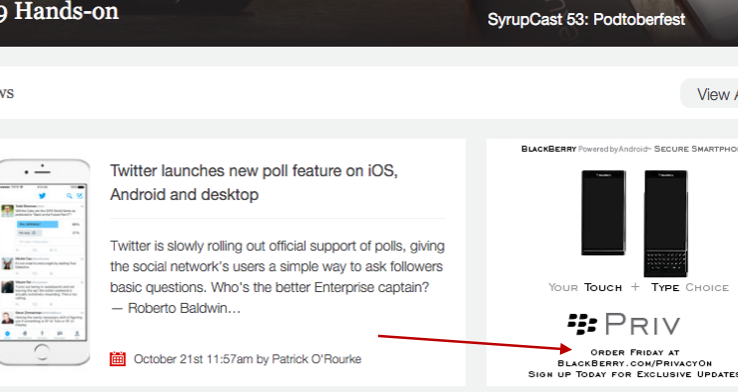 While BlackBerry has not revealed unlocked Priv pricing yet, Rogers has confirmed to MobileSyrup that the smartphone will sell for $399.99 on a 2 year Share Everything plan, or $799.99 outright. 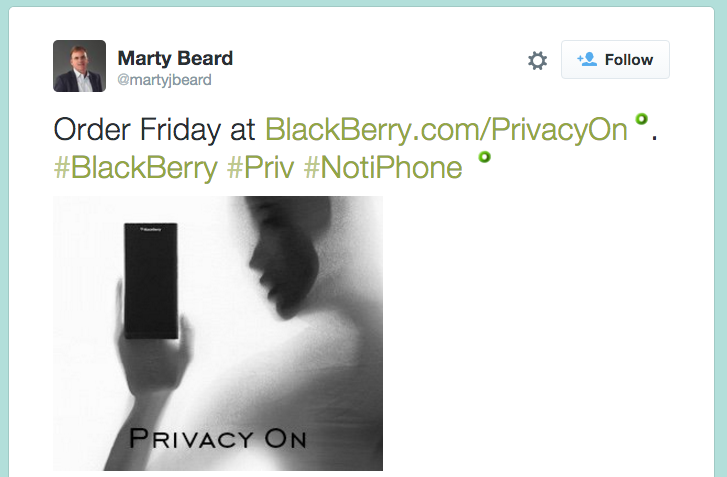 Update – October 22nd: BlackBerry’s COO Marty Beard has just confirmed on Twitter that pre-orders for the Priv will go live this Friday.